I've spent more money on organizational and storage items for my apartment than I would like to think about. Its maybe a sickness- there is just something about going to the Container Store and getting all matching jars for my pantry. Again, a sickness I told you. 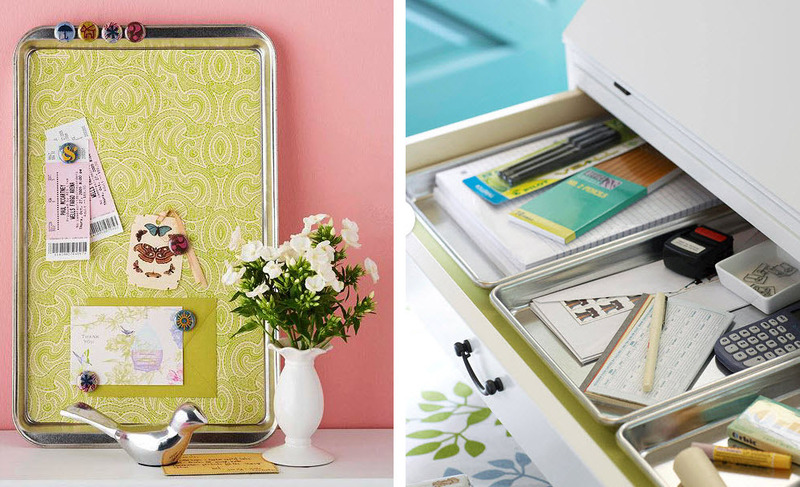 But you don't always have to shop at the Container Store to get storage and organizational tools. 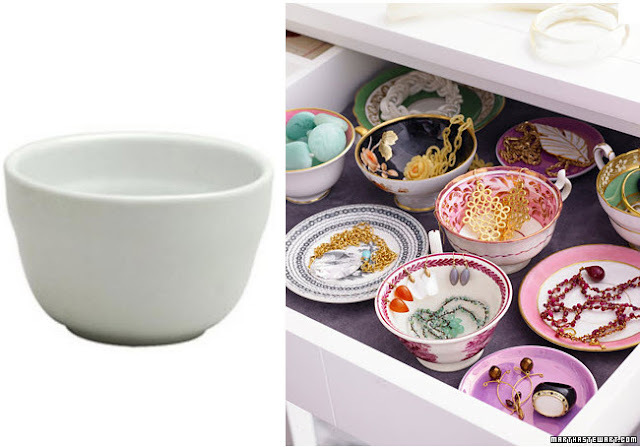 I found this restaurant supply store online and with a little creativity you can organize on a budget! Living in New England its guaranteed to snow every year. That means boots and dragging snow and salt into the house. 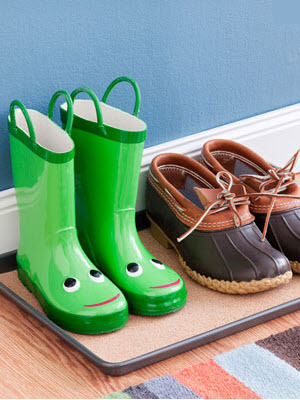 Place a lined cookie sheet next to the door as a dumping ground for your boots. 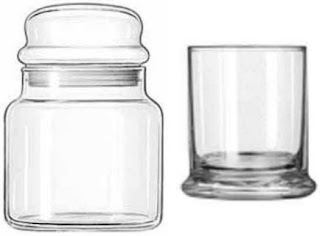 Who couldn't use more glass jars around their house? I love these simple jars and I would use them in the kitchen pantry, in the linen closet to store small items, in the laundry room to collect loose change and other items left in pockets, in the office to store supplies (wouldn't rolls of tape look so much cooler stored in a glass jar rather than the ugly paper boxes they come in) and numerous other places. Buying these in bulk is a great way to save money on them as well. I've been a little obsessed with bakers twine lately. I told my husband I wanted a twine sampler for Christmas and he thought I was on drugs. Needless to say I didn't get it, but I really do still want it. Using sugar dispensers would be a great way to store it so that its ready in a moments notice. 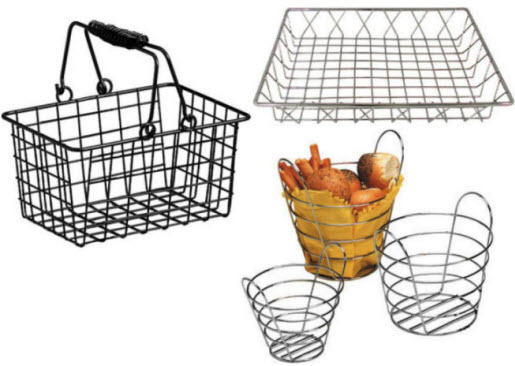 There are so many different wire baskets available at restaurant supply stores. These can be used in any room in your house. The handled ones might be my favorite. I would use them to store extra toilet paper or in the pantry for potatoes or onions. I am trying to use less paper products at home. I've made reusable rags and floor cleaning pads and on my to-do list is to make some napkins out of scrap fabric. 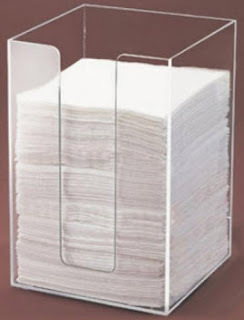 This acrylic napkin holder would be perfect for a pantry to organize any reusable rags or napkins. 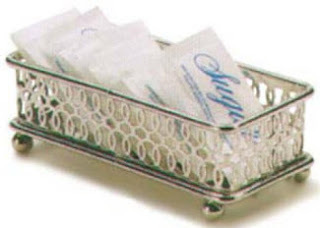 This sugar packet holder is super cute and it would be perfect on a desk for supplies or on a dresser for jewelry. While these plain white cups aren't as pretty as Martha's they do the same job. I would line the drawer in some colorful fabric to make up for the colorless cups, and then go to town organizing all my jewelry. 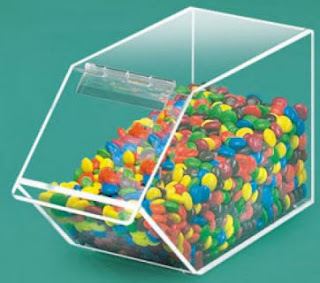 I don't suggest buying candy in bulk if you have my self control, but these stackable dispensers are great. In a pantry to hold nonperishable or packaged items or in a workroom/craft room to hold supplies, I would love a stack of these. What a great post... there's a restaurant supply store near my home and I'll be sure to make a visit soon with new eyes! 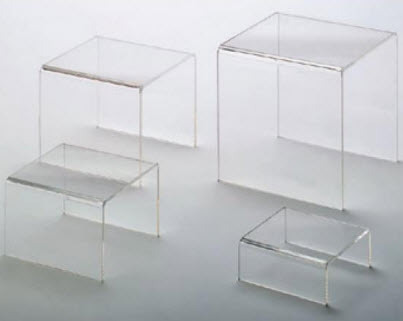 Didn't realize they had so many acrylic stuff! I bought a load of tiny white candles from there for my wedding - like 25 bucks for dozens of candles, what a great deal! Amazing post! I need that magnet board in my life. Thank you for the tips!! Fun! What a great bunch of ideas. Genius! I am heading there this weekend so I can buy some goodies! This is just what I needed! I have two desk drawers that are just BARELY over 1/2" deep. Seriously. I can't find drawer organizers anywhere... The baking sheets might be able to do the trick! Thanks! I just noticed the cute tag on Remi's gift has your monogram. Where did you get that?? so cute! This is such a great post with such great ideas! 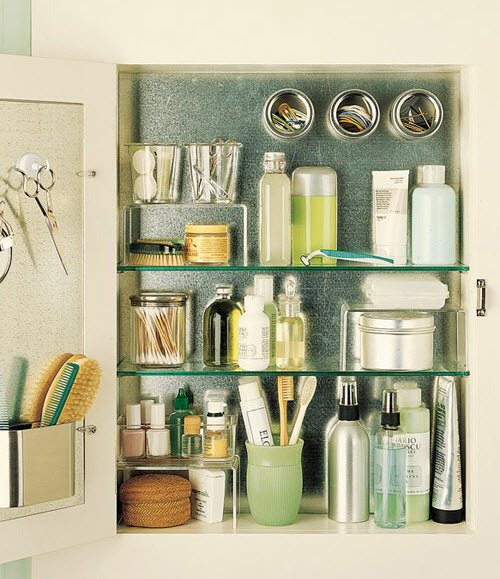 I also LOVE organization and there are so many products out there but finding really good ones worth the money is hard. Definitely bookmarking that website! Uh, my closets and drawers are disasters. I could use every single one of your suggestions. Love the twine storage idea! I need this post in my life. The cookie sheet idea is genius. 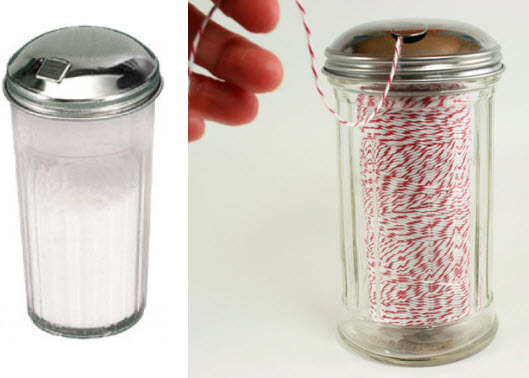 Totally stealing the sugar dispenser for baker's twine idea! I just stocked up on a bunch to use all over the place in my wedding planning, and with very helpful cats it was a pain to have it sit in my lap when I was using it - thanks!! Just came across your blog and love it! Such useful ideas in this post, I'm for sure going to try the magnetic board and using the acrylic stackers!